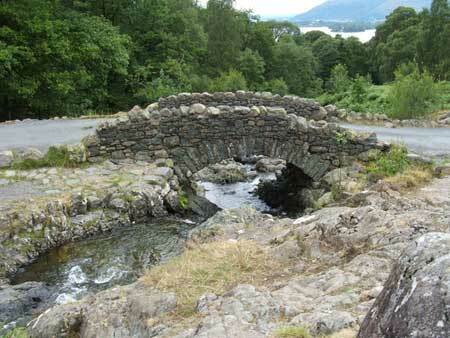 We highlight some of the many great places and attractions close to Keswick. While there are many things to do in Keswick itself, there are also some superb places to visit just a stone throw away, I've highlighted only a few here but hopefully this will be food for thought to explore a little further. 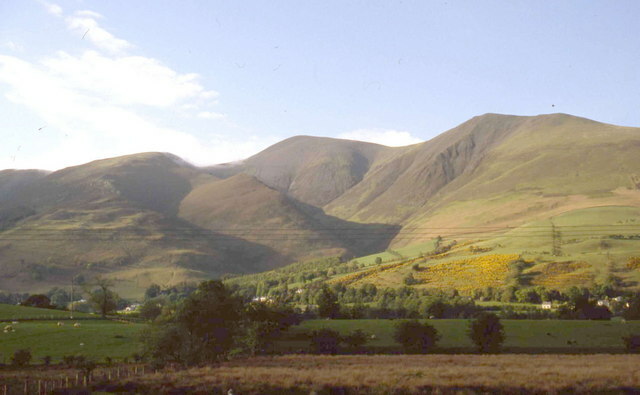 Skiddaw - For those who enjoy walking and exploring the Lakeland fells, Skiddaw is on Keswick's doorstep, at 3,054 feet Skiddaw is the fourth largest mountain in England, there are several different routes varying in length and most having a "moderate" difficulty level. Circular route Borrowdale to Buttermere / Crummock and back via Whinlatter. I've included a circular car route covering some of my favourite views and attractions, you can take either a clockwise or anticlockwise direction or of course just visit one or two, also this is just a selection of some of the great sights around Keswick, there are many more for you to find yourselves! Ashness Bridge - Travel south on the B5929 on the east side of the lake and you come to a sharp and steep fork to the left which takes you to Ashness bridge one of the most photographed bridges in the Lakes, the bridge provides a perfect backdrop to a view over Derwentwater Keswick and Skiddaw. Surprise View - Only a short distance from Ashness Bridge, is a small car park which is situated next to Surprise view, this for me is a must see view as you can see from the picture below the views across Derwentwater and over to Skiddaw are quite dramatic. From here you can either carry on along the small road (walking advised) to the small almost hidden hamlet of Watendlath along with Watendlath tarn, or return to the main road and carry on south towards Borrowdale passing the villages of Rossthwaite & Seatoller. Following the villages the road rises steeply up towards Honister pass, at the top is the next attraction the Honister Slate mine, a working mine which has some spectacular trips deep into the mine, well worth a visit particularly on a wet day! Leaving Honister you drop down towards the relatively unexplored western lakes beginning with Buttermere lake, at the top of the lake is Buttermere village, this is a very attractive and tranquil spot and its worth stopping off for cake and coffee to enjoy the surroundings. Further on from Buttermere is Crummock water, which feeds the river Cocker and Loweswater, both lakes provide superb opportunities to enjoy walks in the quieter but beautiful areas of the Lake District. The final leg of the route takes you up through the forest over Whinlatter pass, at the top is the Forestry Commission, Whinlatter visitor centre where you can relax and have a coffee while the children play in the wild play area, take one of the walking or mountain bike trails or test out their GoApe course. Upon leaving the visitor centre there are further great views of Bassenthwaite Lake, before dropping down to the A66 and back into Keswick.